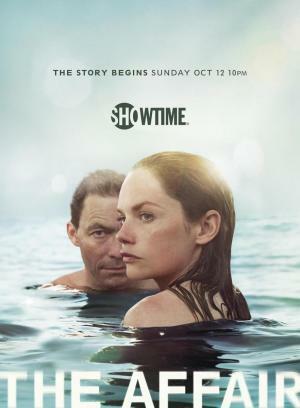 Rate "The Affair (TV Series) (2014)"
The Affair explores the emotional effects an affair between a married waitress at a Hamptons' diner and a teacher who spends he summer at his in-laws estate on the island. The extramarital relationship between Noah Solloway (Dominic West) and Alison Lockhart (Ruth Wilson) begins when they meet in the resort town of Montauk in Long Island, New York. Noah is a New York City schoolteacher who has had one novel published and is struggling to write a second book. He is happily married to Helen Solloway (Maura Tierney) with four children, but he resents his dependence on his wealthy father-in-law. Alison is a young waitress trying to piece her life and marriage to Cole Lockhart (Joshua Jackson) back together in the wake of her child's sudden death. The story of the affair is depicted from Noah's and Alison's perspectives respectively. "[4th Season Review]: The characters’ behavior is, for the most part, recognizably human (...) it allows the show’s other strengths (...) to come through." "[4th Season Review]: It’s fun to see Dominic West so hapless and vulnerable (...) There’s a lot of humor"
Change layout: USA | UK Spain México Argentina Chile Colombia Uruguay Perú Ecuador Venezuela Costa Rica Bolivia More info: FA goes International!